Suffering from noisy neighbours? Then Brighton Soundproofing Uckfield have the solution with a range of high quality soundproofing solutions for your home or work. We offer a full range of soundproofing for walls, ceilings and floors. So it doesn’t matter whether the noise nuisance is to your side, above or below you. Brighton Soundproofing Uckfield can improve your quality of life! Total Soundproofing Solutions in Uckfield! Soundproofing in Uckfield by Brighton Soundproofing, 12 years experience in all aspects of soundproofing your home or business in Uckfield, Sussex and the surrounding areas. Whether it be soundproofing your walls, floors, ceiling, or creating the perfect music studio, we have the solution. Soundproofing Floors in Uckfield 100% Covered! The BSP team started and finished as was initially agreed and supplied and fitted the best available products on the market. Two months on I have enjoyed using my studio for all my recordings successfully. I would not hesitate to work with Brighton Soundproofing again or recommend them to anyone for any similar projects." Some feedback for you: "Arrived on time, were friendly and professional throughout the 2 days. Work was completed on-time, to agreed price and everything was well tidied afterwards.The new ceiling has made a great difference in the sound levels from above...they are almost now non-existent!" We very very happy with the sound-proofing! It is working perfectly. Looking forward to doing the study next. I would have no hesitation in recommending Daniel Pelser to anyone thinking of soundproofing their home. Daniel and his team were punctual, tidy and their work was first rate. I shall be having the ceilings of two more rooms done in the very near future. Excellent from start to finish. Very happy indeed. Thank you Daniel and team. 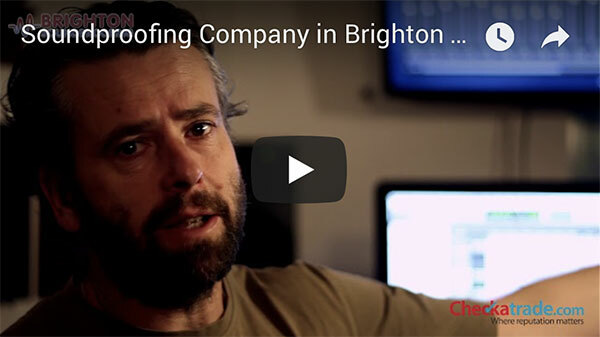 Soundproofing Uckfield by Brighton Soundproofing - Why Choose Us? 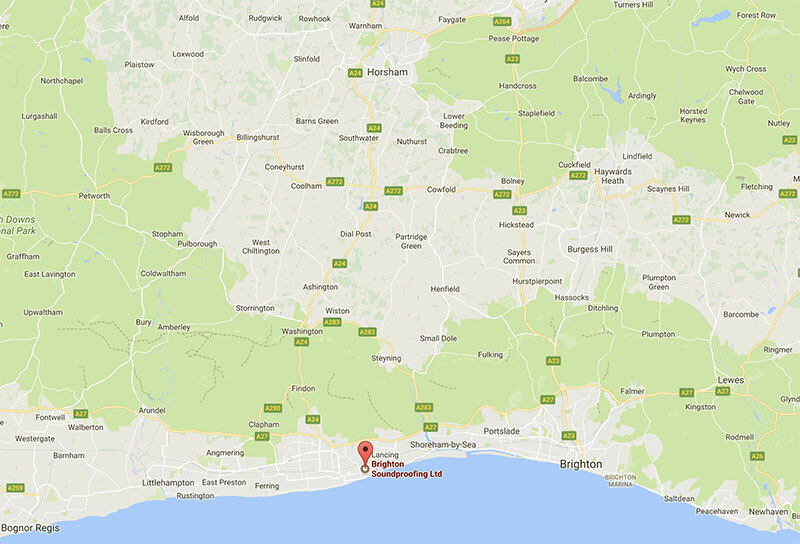 Brighton Soundproofing in Uckfield offer a local, professional soundproofing solution in Uckfield and the surrounding areas. Call us today for a no obligation quotation. In some cases a site visit may carry a small charge which is refundable on acceptance of works. Areas away from Uckfield may carry a slightly higher charge, but again this is refundable on acceptance of works. We cover Uckfield and the surrounding towns and areas in Sussex. We also have a London Showroom.